Swedish architecture is anything but ordinary. Forget the typical high-rises and block-style buildings because Swedish architecture is all about individual style and expression. Buildings and other monuments in Sweden are more than functional geometric structures – they are creative and unique works of art. With so many different structural designs, it was tough to list just five, but here are five of our favorite Swedish architectural designs. What began as a series of sculptures by Lars Vilks in 1980, Nimis became an architectural masterpiece located at the heart of Ladonia with multiple towers atop a magnificent labyrinth. Visitors are encouraged to climb the towers into the various buildings and explore the labyrinth below. 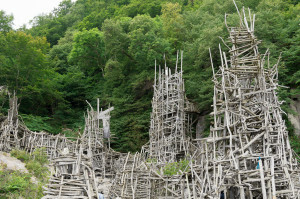 Nimis is Latin for “too much” but we think it’s pretty cool, especially for an architectural structure made entirely from driftwood. As the world’s largest hemispherical building, the Ericsson Globe serves as the national indoor arena in Stockholm. With a 110-meter diameter and an internal height of 85 meters, the structure was originally known as The Stockholm Globe Arena and intended for ice hockey. The building has since become the most popular venue for concerts and other events. SkyView gondolas, equally impressive hemispherical cable cars, transport guests on a spectacular trip to the top of the Globe, 130 meters above sea level. 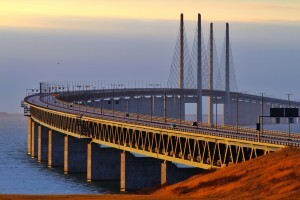 There are bridges, and there are tunnels – then there’s the Öresund Bridge. Like most bridges, it begins on land and crosses over to the water to another piece of land. But that’s where the similarities stop – in the center of an artificial man-made island to be exact. 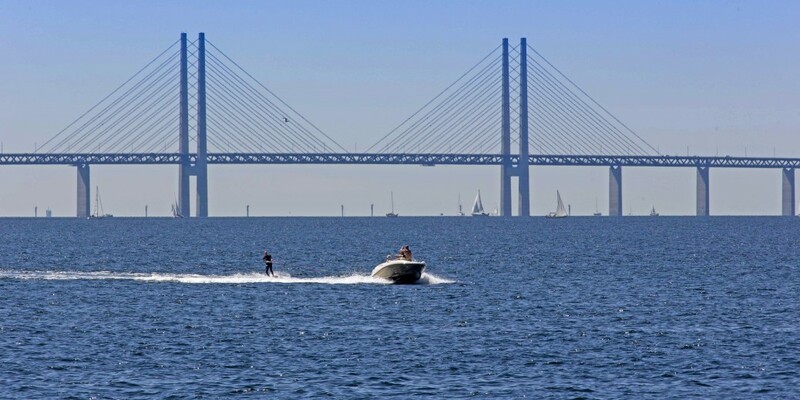 At this point, the bridge over the water ceases to exist and transforms into an underwater tunnel where it continues until reaching its destination end point in Denmark. At 7,994 meters long, it is also considered the world’s longest cable bridge designed for traffic use. It doesn’t get much cooler than that. Santiago Calatrava is an architect with a passion for the unusual. His designs are anything but ordinary and stand out far from the rest. 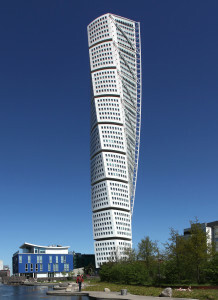 His design, the Turning Torso, became the world’s first twisting skyscraper and the tallest building in Sweden. This impressive architectural structure first began as a seven-cubed sculpture and grew into the 190-meter triangular-tipped nine-cubed tower that holds the record as Europe’s second tallest building. things. The Mirrorcube is a 4-meter by 4-meter by 4-meter cube structure built around a tree trunk with a bridge leading up to the door. 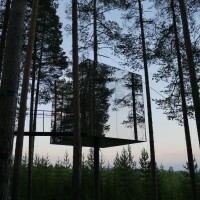 The architectural design of the Mirrorcube keeps nature looking natural with reflective glass covering the outer walls. The only disadvantage to this structure is you might not notice it if it weren’t for the bridge, but that’s what we love about it.